The Kinks were an English rock band formed in Muswell Hill, North London, by brothers Dave Davies and Ray Davies with Pete Quaife in 1963. The band, which rose to fame during the mid-1960s and were part of theBritish Invasion of the U.S., are recognised as one of the most important and influential rock groups of the era. The band's subsequent theatrical concept albums met with less success, but the band experienced a revival during the late 1970s and early 1980s with albums Sleepwalker, Misfits, Low Budget, Give the People What They Want and State of Confusion. In addition, groups such as Van Halen, the Jam, the Knack, the Pretenders and the Fall covered their songs, helping to boost the Kinks' record sales. In the 1990s, Britpop acts such asBlur and Oasis cited the band as a major influence. 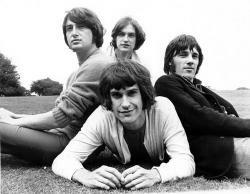 The Kinks broke up in 1996, a result of the commercial failures of their last few albums and creative tension between the Davies brothers. The group had five Top 10 singles on the US Billboard chart. Nine of their albums charted in the Top 40. In the UK, the group had seventeen Top 20 singles and five Top 10 albums. Four of their albums have beencertified gold by the RIAA. Among numerous honours, they received the Ivor Novello Award for "Outstanding Service to British Music". In 1990, the original four members of The Kinks were inducted into the Rock & Roll Hall of Fame, as well as the UK Music Hall of Fame in November 2005.